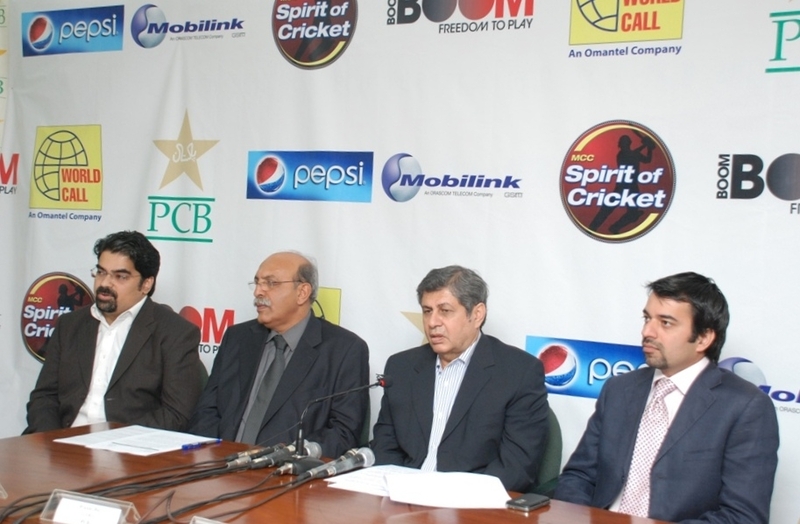 Pakistan Cricket Board introduced its major sponsors in a Press Conference held at Gaddafi Stadium Lahore. Speaking on the occasion CEO Wordcall Babar Ali Syed said “Worldcall attaches great importance to its relationship with the PCB. As the premier broadband provider in the country Worldcall is constantly setting new benchmarks of service to all its clients. We fully support the efforts of PCB to promote Pakistan Cricket and will continue to work closely with the board in the future”. Addressing the Press Conference Manager Marketing Pepsi Cola International Agha M. Khan said “Pepsi has a rich history of promoting Cricket over the years. We will be working closely with PCB to benefit the cause of Cricket in Pakistan. Our commitment to Pakistan Cricket and the PCB remains as strong as ever and we are confident of achieving more milestones in the future”. I didn’t know Propakistani is a sports news portal. How are you? Hoping you will be fine. I am Tehseenur Rehman from Kohat; I want you to sponsor me here in Kohat for a Tennis Ball Cricket Tournament Day and Night, which will be start from 23rd March 2012, here in Kohat Cricket Stadium. Will you brief me about the sponsor procedure? We will be thankful if a chance is given to us in Kohat. The Tournament official name will be declare in next two three days. Waiting for your positive reply.